Build the iconic John Deere 9RT Series Tractor bolt by bolt! Known as an industry leader, the 9RT Series Tractor combines cutting-edge electronics with legendary performance, blurring the lines between technology and agriculture. 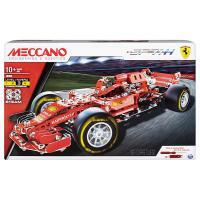 This model tractor kit from Meccano, formerly Erector, accurately replicates these details. Like the original, this model includes authentic John Deere styling, real metal parts and actual working treads. Constructing this 7.75” long model will pose an exciting challenge to young builders. Set at an intermediate complexity level, young minds can expect to tackle this build between 1-3 hours. 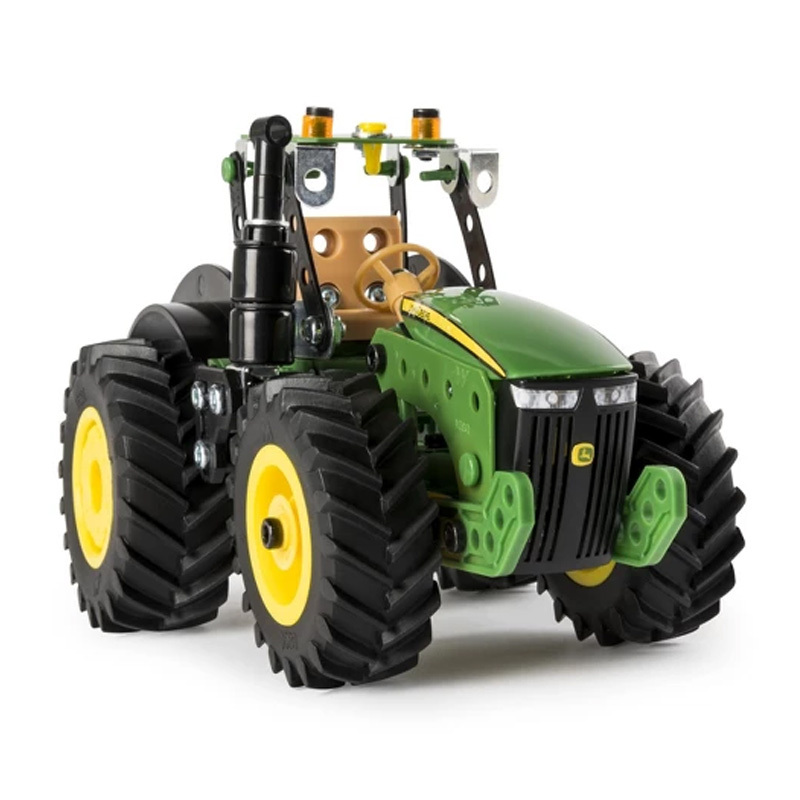 As part of Meccano’s S.T.E.M toys for kids aged 10 and up, the John Deere 9RT Series Tractor helps kids tap into their logical reasoning and strategizing abilities. Both fun and intellectually stimulating, this building set is a great way to challenge budding engineers and innovators! Challenge young minds with Meccano’s 9RT Series Tractor. This building set is a fun and stimulating project for kids to tackle. An authentic 7.75” long replica of the John Deere 9RT Series Tractor, this model comes with real metal parts and features working treads. Meccano’s John Deere 9RT Series is a S.T.E.M-approved toy. By building this tractor, kids will draw on concepts from Science, Technology, Engineering and Math. Meccano’s John Deere 9RT Series is recommended for kids aged 10+. 2 real tools included. Intermediate complexity level. Build time of 1-3 hours. No batteries required.